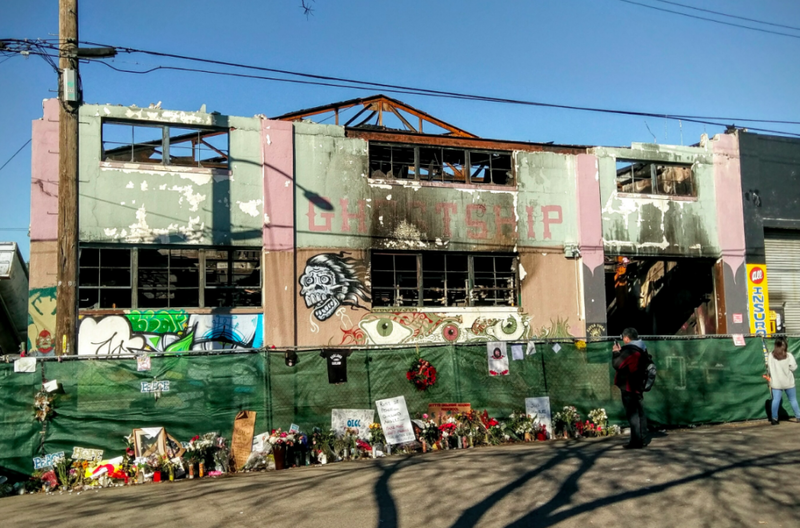 Chor Ng, the owner of the Ghost Ship warehouse which burned at a 100% Silk showcase in Oakland last December and tragically killed 36, is now reportedly set to receive an insurance payout worth more than $3 million for the building. The report comes in after KTVU FOX 2 confirmed that Commercial Industrial Buildings Owners Alliance Insurance Company insured the building. Outside an Oakland courtroom on Wednesday, attorneys for one of the defendants in the criminal case confirmed Ng is set to receive the payment from that particular insurance firm. “She profited off this tragedy,” said attorney Curtis Briggs, who is representing defendant Max Harris. Harris and Derick Almena remain the only two people charged in the criminal case. Recently on Wednesday, the two Ghost Ship operators both pleaded not guilty to 36 counts of involuntary manslaughter. Ng was not charged in the aftermath of the criminal case, although she does remain the subject of multiple civil lawsuits.